I realise that we are now a week into February, but I have only just got my 2014 diary. Disgraceful. I am lost without my diary. I have not yet got on board with digital diaries, and I am not sure I ever will. I love having a physical book to pull out of my handbag and scroll through, I love the satisfaction of handwriting an entry for something I am excited about doing, like holidays or evenings with friends, and I also love to be able to see at a glance what I am up to all week or next week, or at any point in the year. Yes, I know the latter can be done on an app, or my email calendar, but a screen just doesn’t have the same effect for me, I’m just too old fashioned! For the past ten years or so my diary of choice has been the Moleskine month to view diary. I love seeing the entire month at a glance, because if I have work deadlines coming up I can ensure I have enough clear days in the month before them to make sure they get met! I also like to see holidays and weekends away looming. I am normally organised and buy myself one in November, so it’s there and ready to begin filling for January. This year however, I fancied a change. It might have been something to do with endless deadlines on every page of the diary that did it! I just didn’t want to see them all anymore, ignorance is bliss and all that! I didn’t know what else to try though, and couldn’t imagine I would like the Moleskine weeklies so much, simply because they were too the same, yet not my once-favourite format. It took me until mid-way though January (and many trips to stationery shops in search of the perfect new companion) before I found the diary for me. The Secret Diary. 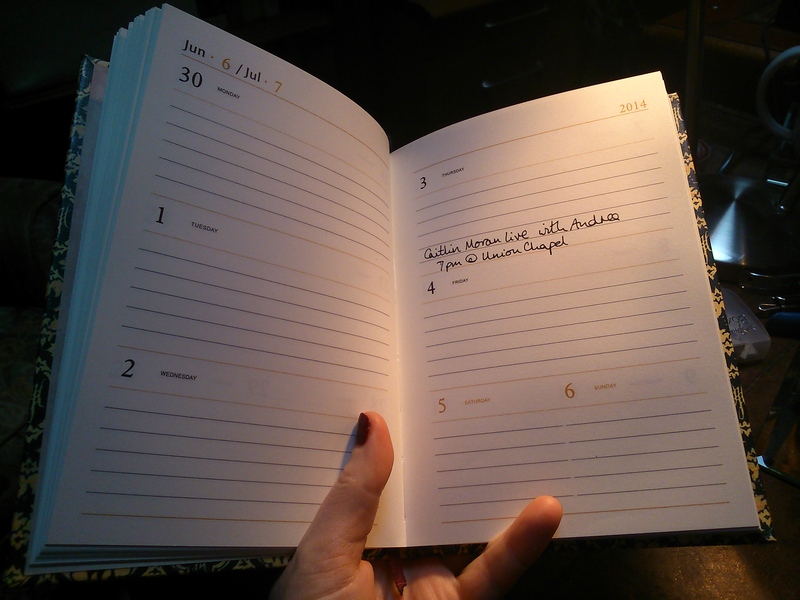 Now, I am not so bothered about disguising my diary – there is nothing in there which I wouldn’t want someone to read, it’s purely appointments as opposed to a journal of thoughts and feelings, but something appealed to me about carrying around a diary disguised as one of the classics in my handbag. Since I am currently trying to finish my own ‘great work’ (the PhD thesis), having someone else’s on hand to inspire me seemed like a good idea. 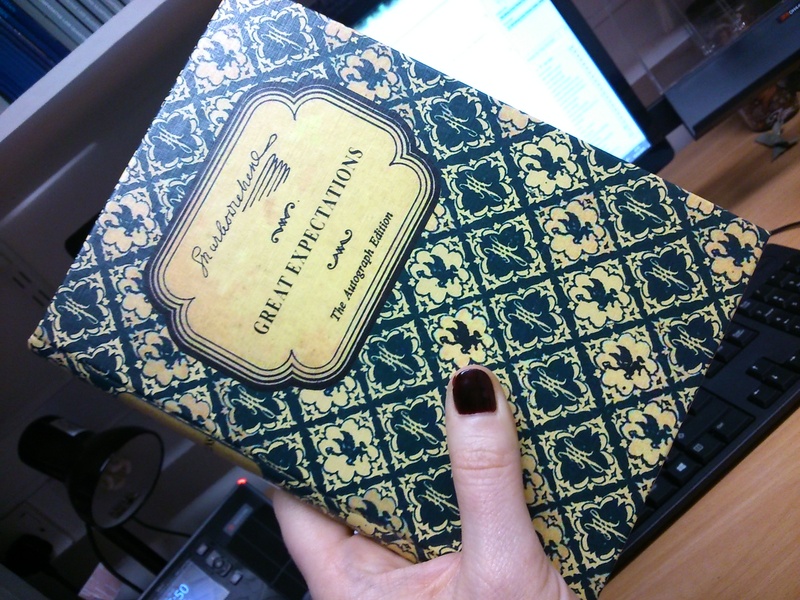 Because ‘great expectations’ is precisely what I have for my 2014! And is now a daily reminder of this fact. It is a thing of beauty, that I am delighted to be carrying around and using on a daily basis. I have already had so many compliments on how unusual it is, and how beautifully done. Indeed, when it arrived I was more than happy with how it was presented, wrapped in a beautiful paper, with the name of the person who made my diary, and inside a handwritten note thanking me for buying from them. 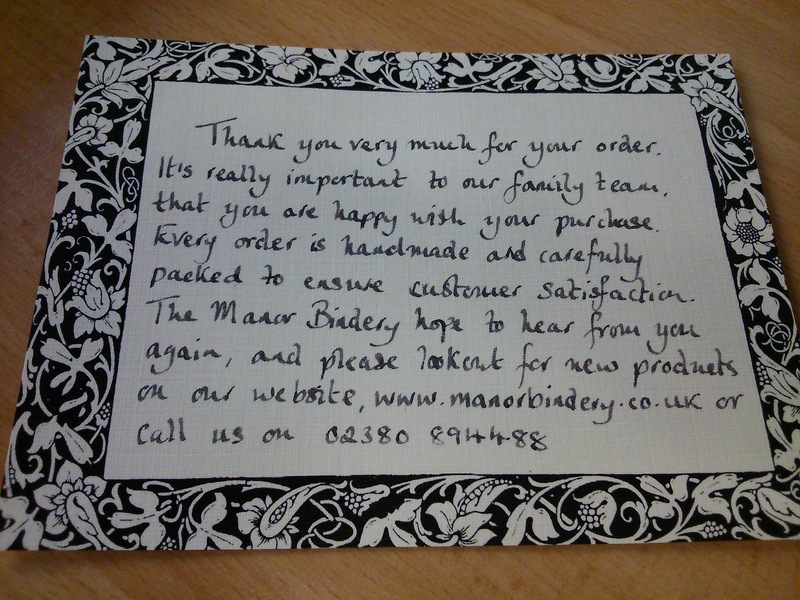 It is a family company based in Hampshire, and they came into being designing book sleeves for Kindles and eReaders (called the KleverCase), and have recently branched out into journals – a most successful venture in my opinion. Since there are 11 different ones to choose from, I am sorted for diaries until 2025. Yikes! I think my collection will look quite beautiful on my office shelf (I keep my old diaries). You can even have the inside of your diary personalised if you wish, which is a lovely idea. I might have my 2015 resolutions added to next year’s! An incentive to keep them! So, now I have the perfect diary, I’ve been filling it up with the things I’ve already booked up, and am very pleased to realise that from no plans a month or so ago, I now have two or three trips abroad already booked, two weddings of lovely friends to attend, several theatre tickets booked, including for the Monty Python Live show and the Book of Mormon (at last!) and some craft shows and home decor shows to visit. 2014 is shaping up to be wonderful already! I can’t believe I found another diary aficionado! Week to a page is my favourite format. 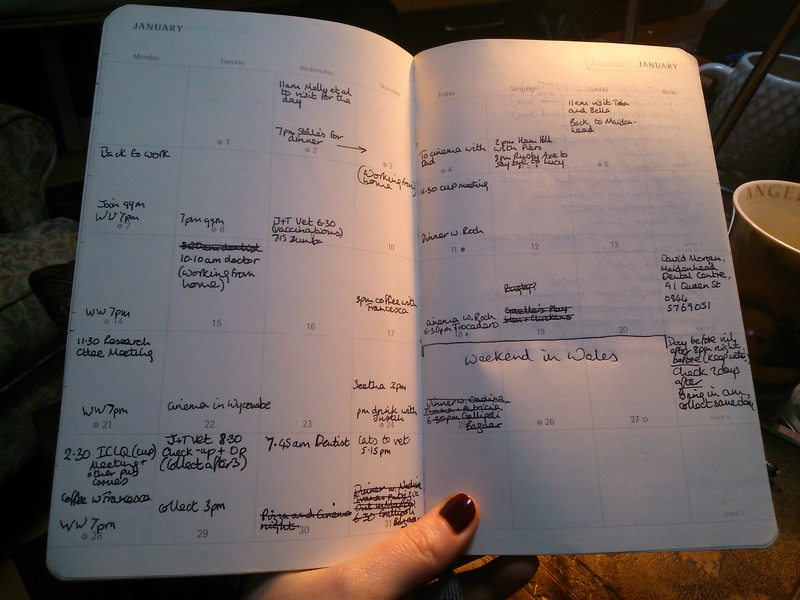 Lots of space to write, but you can still glance at the whole week ahead. Your new diary is beautiful. I hope you enjoy using it! Ha ha, I think you’ll find there’s lots of us! I certainly will! Do you have a specific brand you like? Ha, I always thought I was a weirdo for being so picky with my diaries! For a few years I bought diaries from Barnes and Noble…really pretty covers, weekly entries, and lots of additional pages at the beginning and end to write things like addresses/birthdays/notes/information like that. I don’t live in America any more so each year I hunt for a diary that fits my criteria. I’m using a Kikki K one this year. It’s cute, but not perfect. Expensive here too – the size I used to buy is £13.99 (less than USD35 though!) in the UK, EUR13.10 in Italy where I bought the last few, so Italy is looking like a bargain place to buy them!